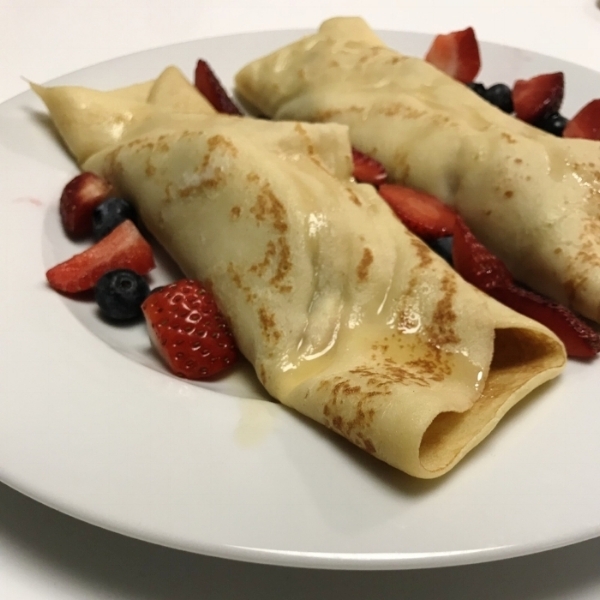 Crepes – we’ve all heard of ‘em. 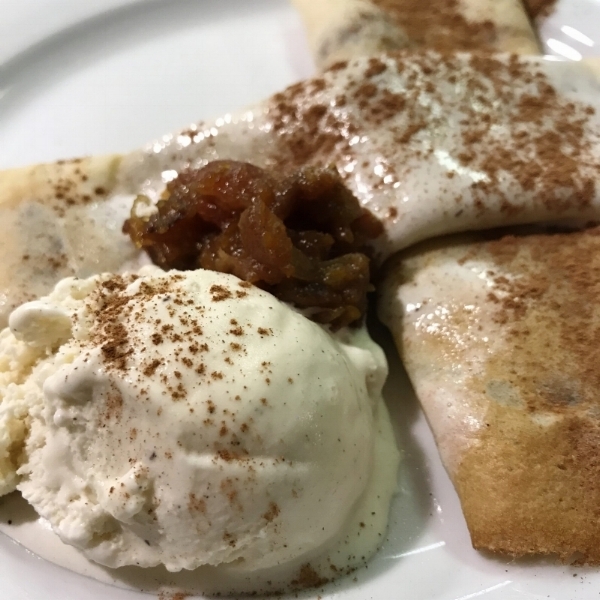 A summer in Paris didn’t ~change~ me, but it definitely gave me some sweet ideas for crepe recipes! 1. In a large bowl, add flour, eggs, salt, vanilla extract, melted butter, and sugar. 2. Using a whisk/electric mixer, beat in the milk gradually until a smooth batter forms. 3. Heat pan over medium/high heat. 4. Scoop a cup or two of batter onto the pan, then tip and rotate the pan to spread the batter as much as possible. 5. Brown on both sides, 1-2 min on each side, and serve hot. Compote: 8 lightly packed dates pitted/chopped, juice of 1 orange, zest of 1/2 orange, 1 tbsp lemon juice, and 1/2 cup water. Combine the ingredients in a small pan and simmer over medium/low heat until thickened and dates have broken down (10-15 min), then set aside to cool. For a great side, add vanilla ice cream and sprinkle with cinnamon. Cream filling: whipped cream, 4 oz cream cheese, 1/8 cup powdered sugar, and 1/4 tsp vanilla extract. In a separate mixing bowl, whip cream cheese on medium until smooth and fluffy, about 3 min. Then, blend in powdered sugar and vanilla. Fold whipped cream into the cream cheese mixture. 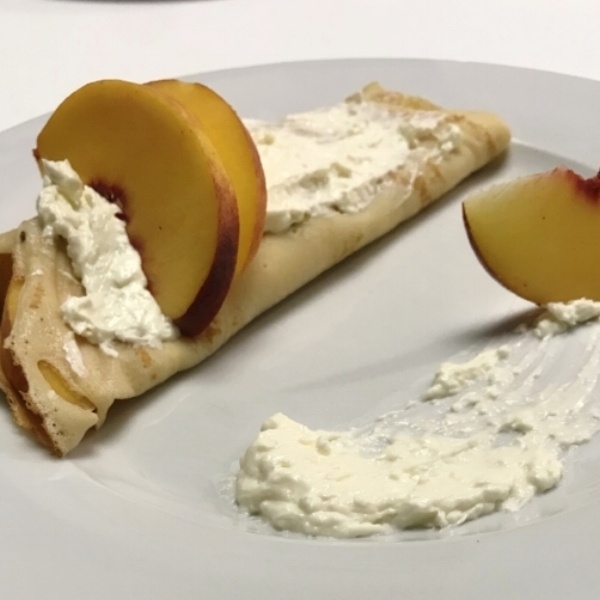 Peaches: 1 medium sliced peach, 1 tsp lemon juice, and 1 tsp granulated sugar. Put sliced peaches in a mixing bowl with the ingredients and gently toss to coat. Let these guys rest until you’re ready to assemble. Eating tip: FINGER FOOD! Roll them up and eat with your hand; it's a restaurant thing to fold it in a triangle.